This was originally the post for KMST v.1.2.403, but as I explained in my previous post, I wasn’t able to talk about it. 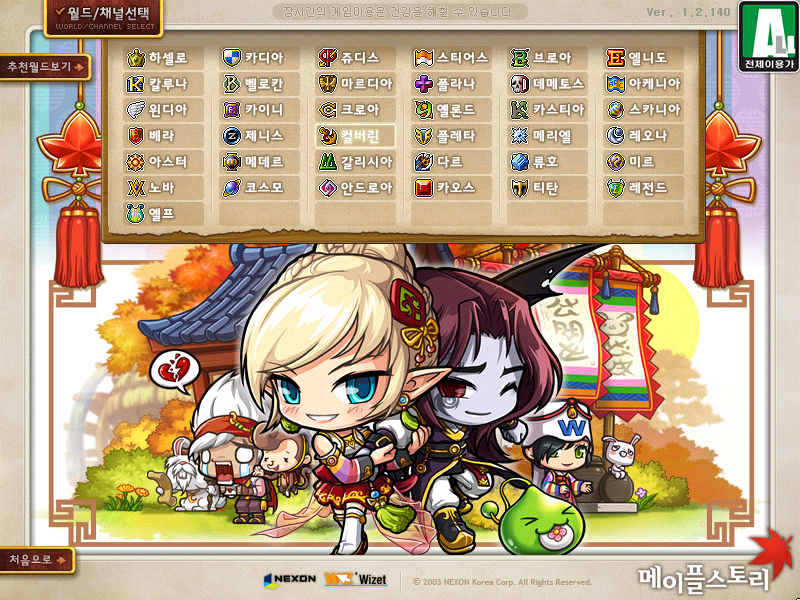 There was also a patch yesterday in KMST, v.1.2.404. Anyway, I’ll be describing the changes made to these PQ’s. There are also new events I want to talk about. 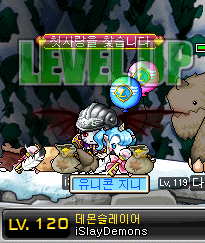 I KNOW that I’m late and I KNOW that I didn’t talk about KMST v.1.2.403, the Nett’s Pyramid & Sea of Fog revamps. Yes, there has been a patch in KMST in the past few days that revamped those PQ’s. However, when I entered Nett’s Pyramid and was about to try it out, they closed it. I thought they would open it the day after, and then I could talk about it, but they didn’t. It’s been down for days now so I’m skipping that post for now till Nett’s Pyramid is up. Anyway, today I’ll be discussing GMST v.08 which was also released a couple of days ago. There’s a LOT of interesting thing you might want to know! ABSOLUTELY NO UPDATES IN KMS/GMS. 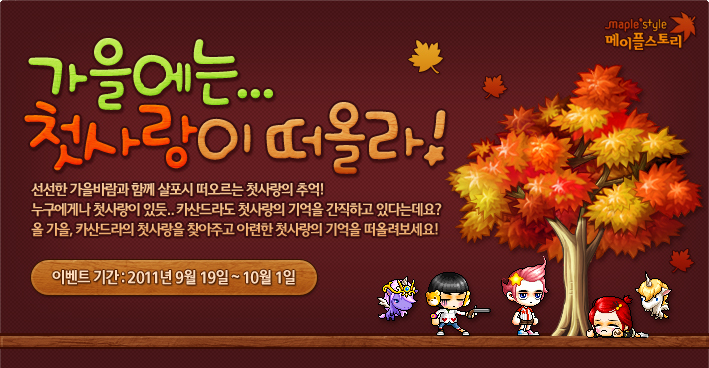 It’s killing me… Only yesterday a new event emerged in KMS, Autumn Emerged Sweetheart Event. Just to show you how desperate I am for topics to blog about, I’ll be blogging about two events whose types are the ones I hate most. 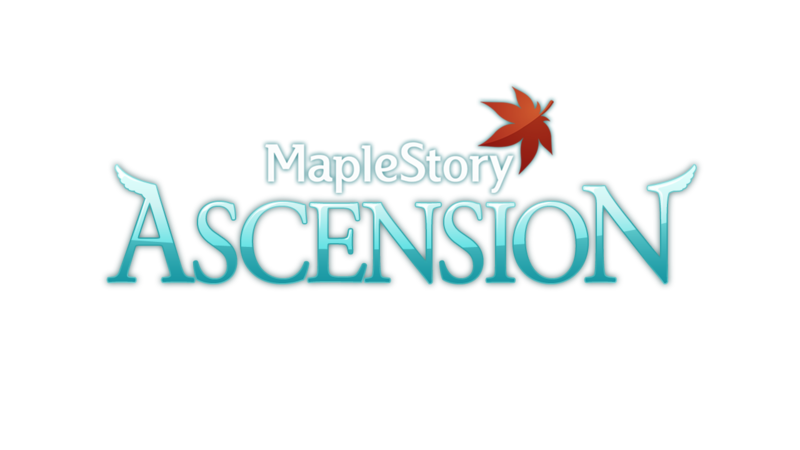 MapleStory Ascension – GMS Jump! Wow! After a while of no updates in neither KMS nor GMS, there’s finally something big on the horizon! SKILL CHANGES PAGE, CLICK HERE! Anyway, as promised, I have prepared a post on the events I missed while I was away. That, along with the new events. There was finally a patch in KMS and the recent revamps we discussed, Mu Lung Dojo and Monster Carnival, were released! Actually, they made some major changes to Mu Lung Dojo since it was released in KMST, the different modes are actually different now.